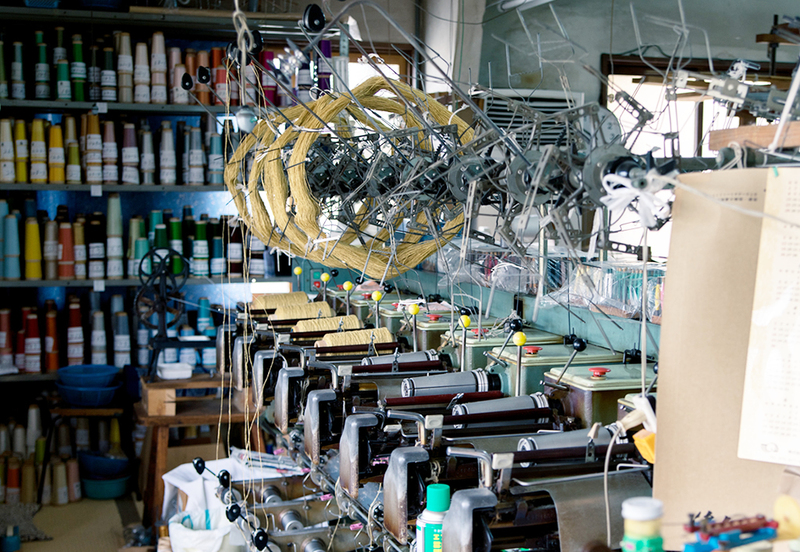 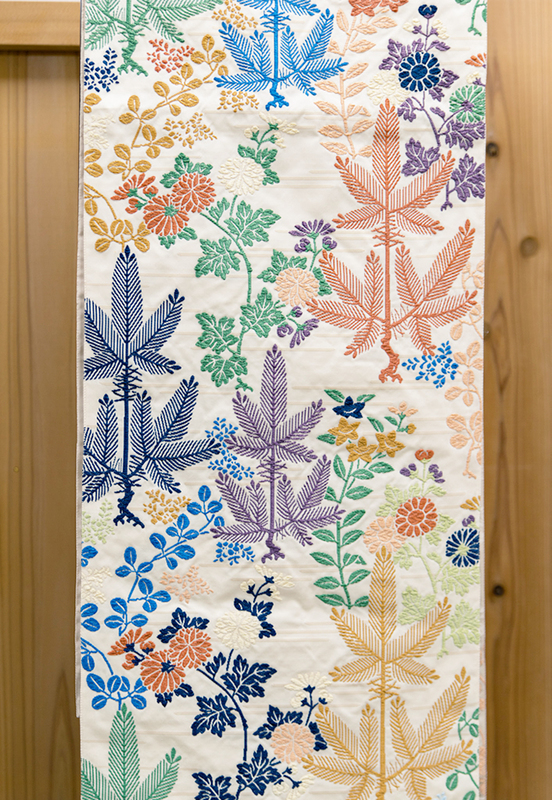 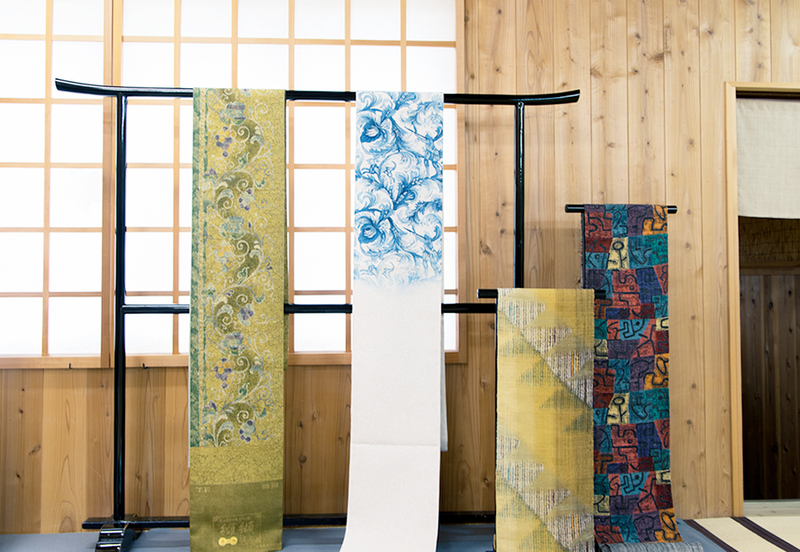 Established in 1906, Watabun is a long-standing shop specializing in Nishijin silk brocades. 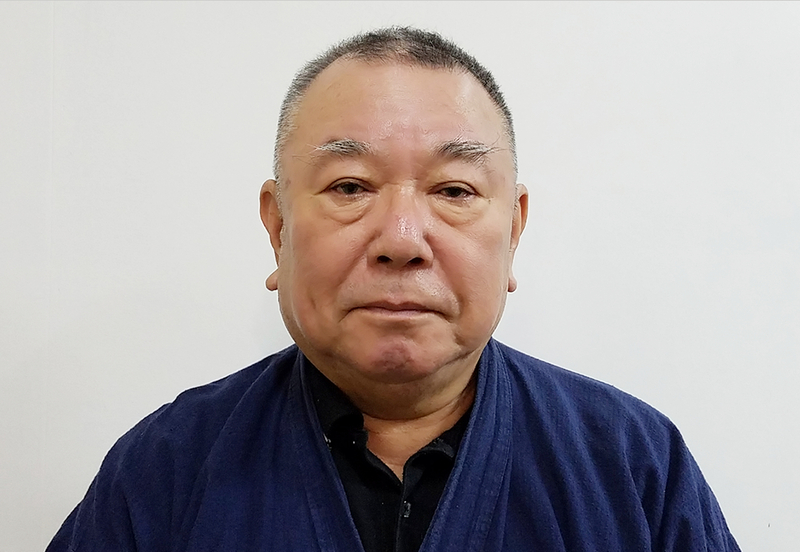 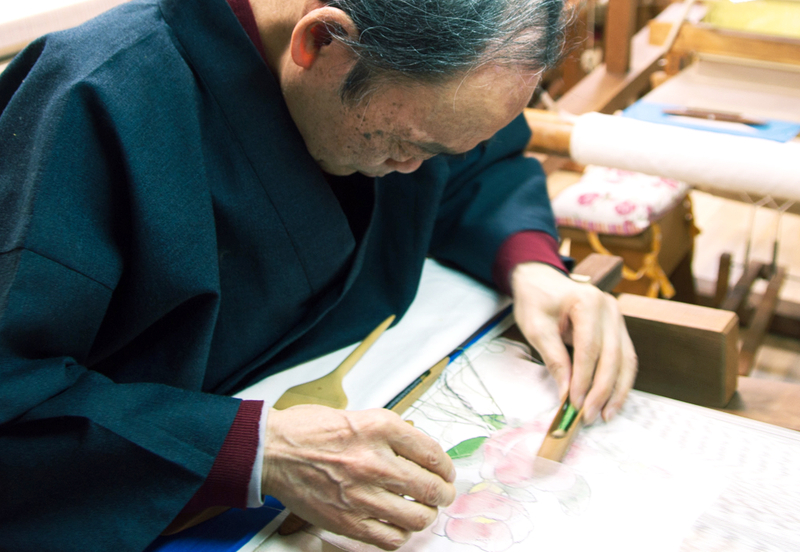 From yarn dyeing and warping to weaving gorgeous obi sashes by hand and Noh costume restoration, the establishment protects the original Nishijin-ori techniques by maintaining the traditional system of division of labour. 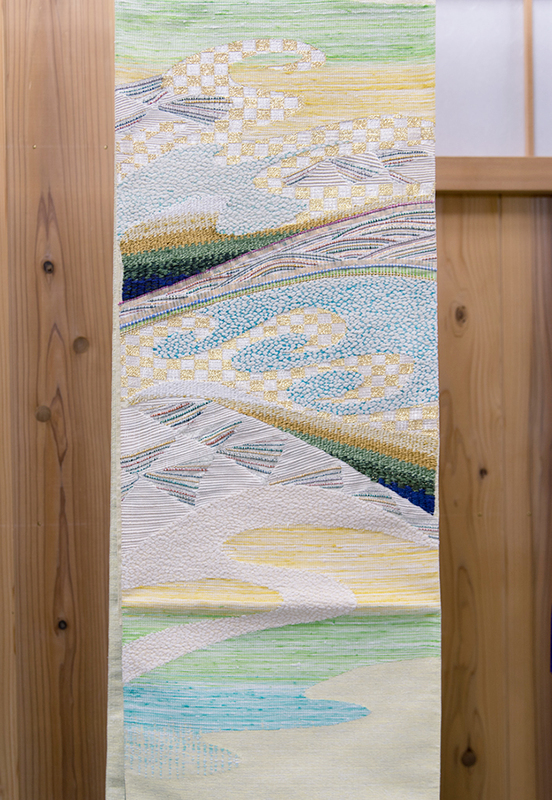 Watabun is situated in Daikoku-cho district, the heart of Nishijin textile industry with numerous weaving companies standing side by side. 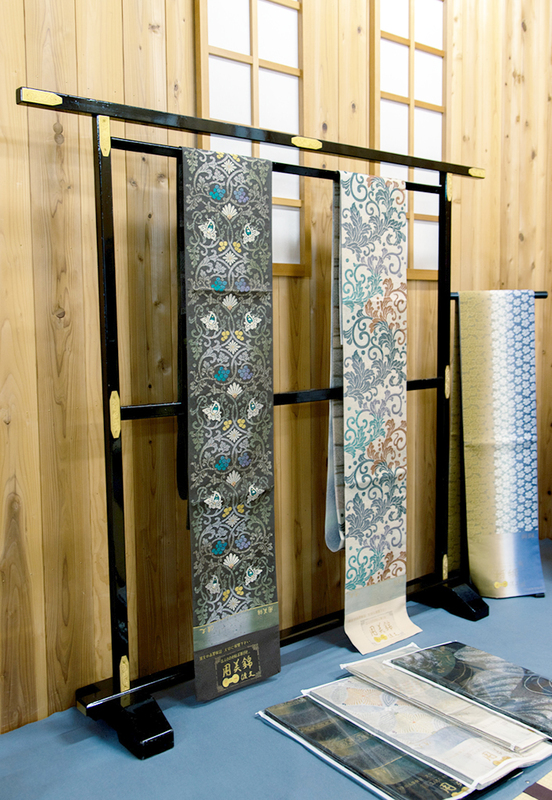 Orinasukan, a textile museum adjoining the workshop, has an architectural style characteristic of Nishijin weavers’ houses. 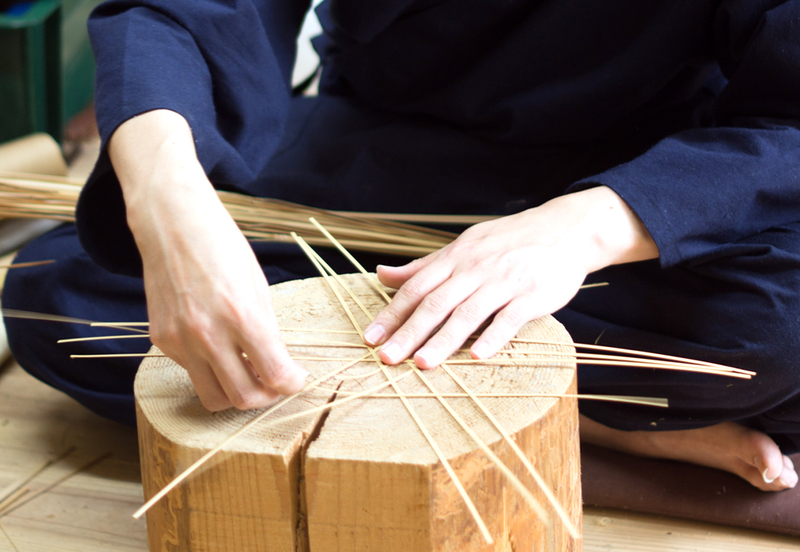 Watabun and its neighbourhood with traditional Kyoto merchant houses and stone paving is a perfect place to feel the history of old Kyoto. 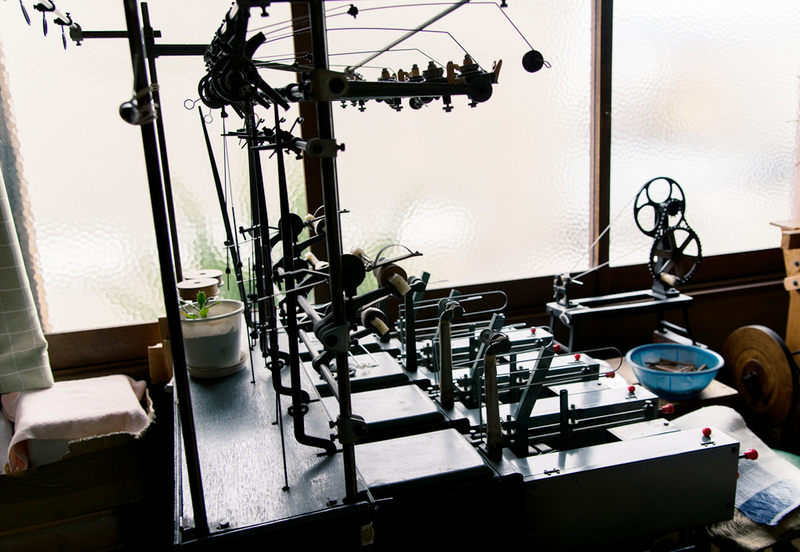 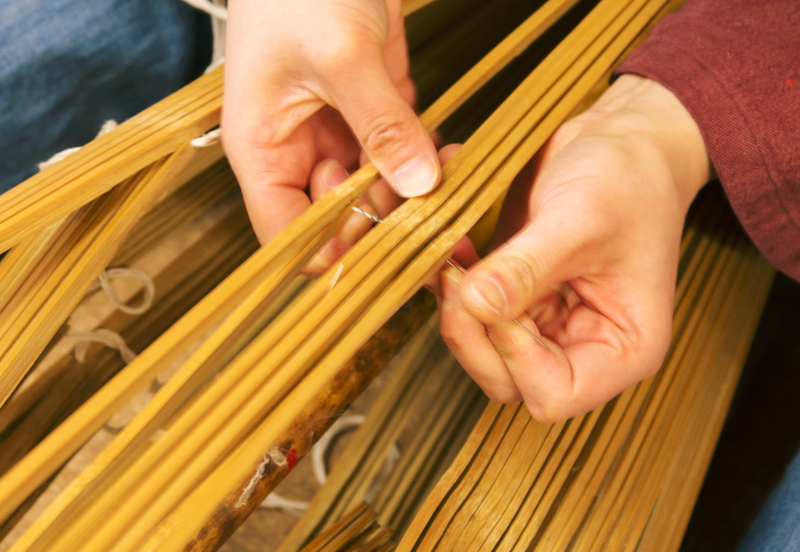 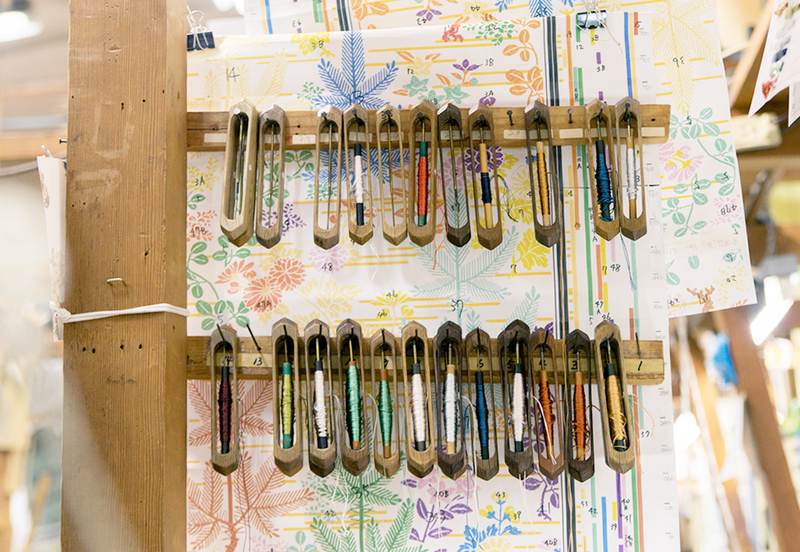 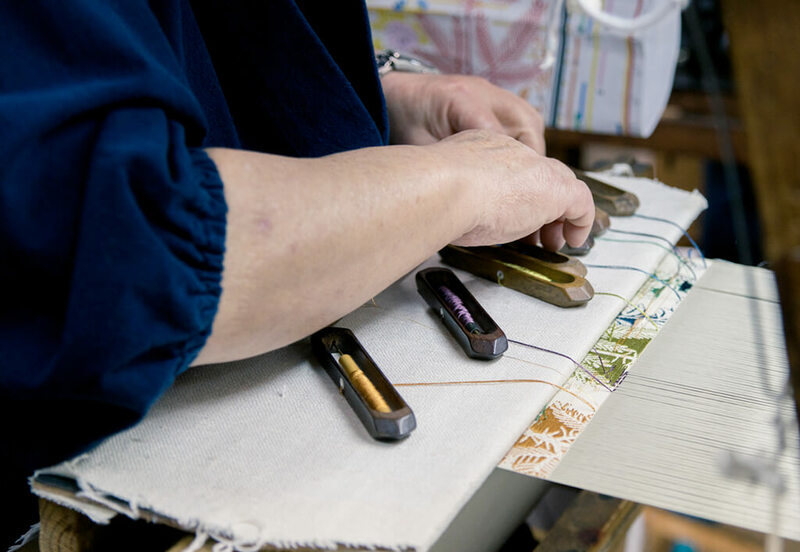 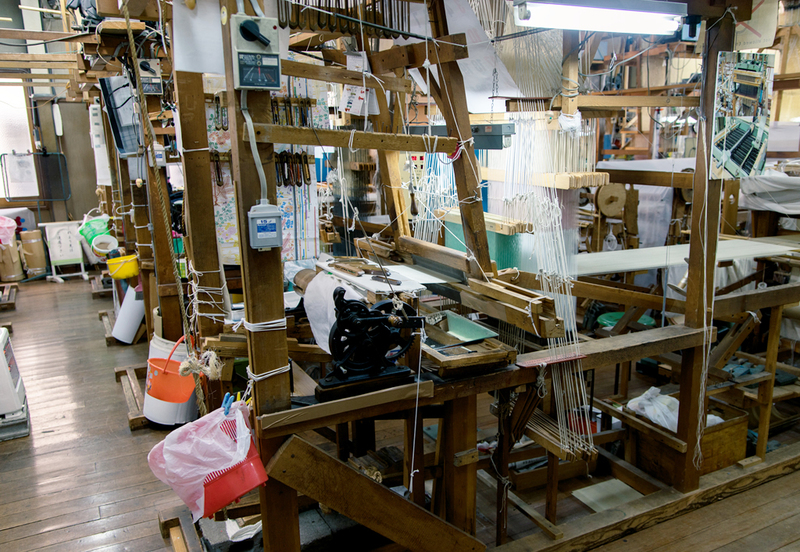 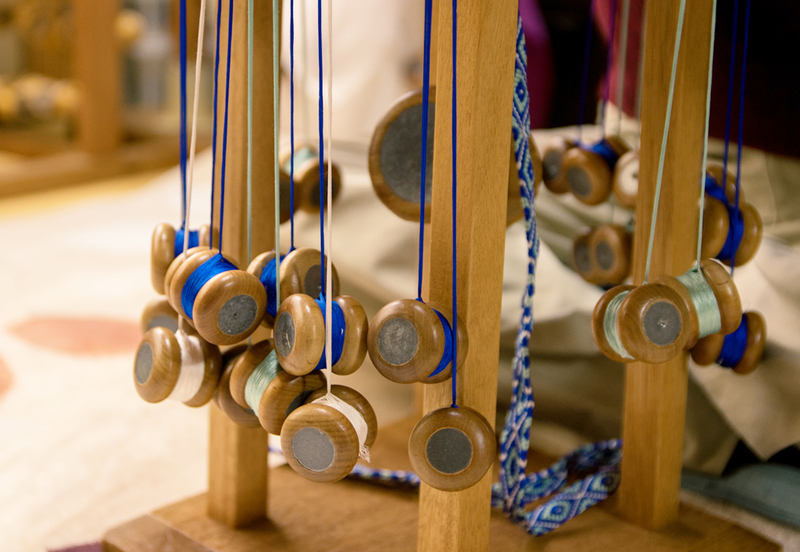 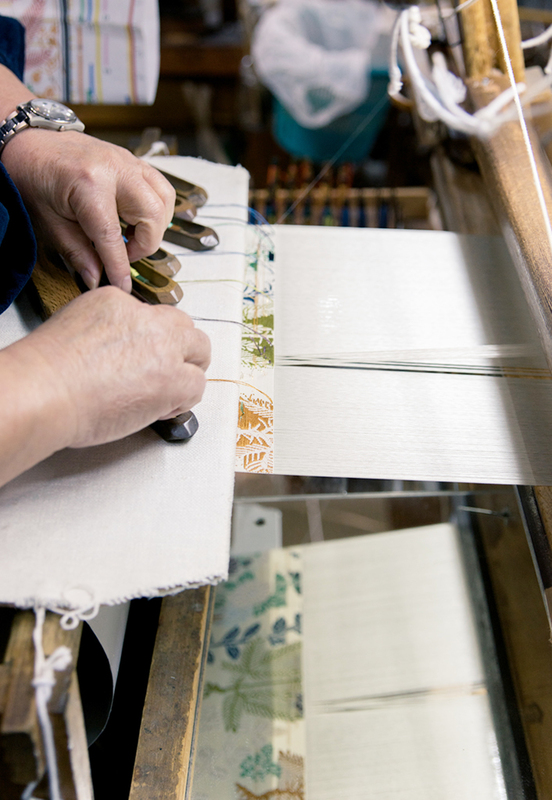 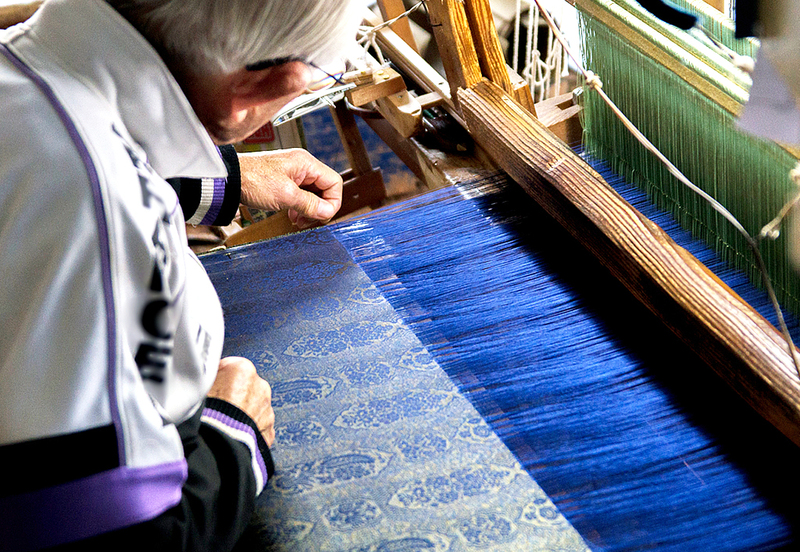 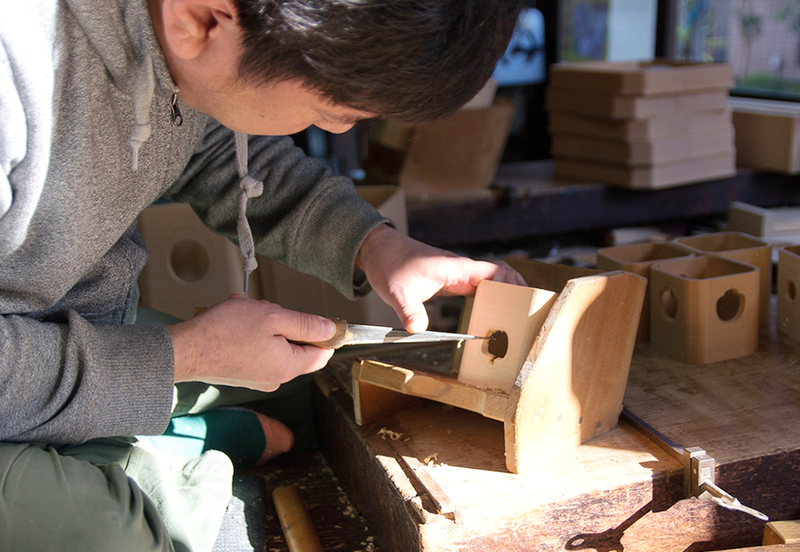 Enjoy your visit to a long-established Nishijin brocade shop with a more than 100-year history.